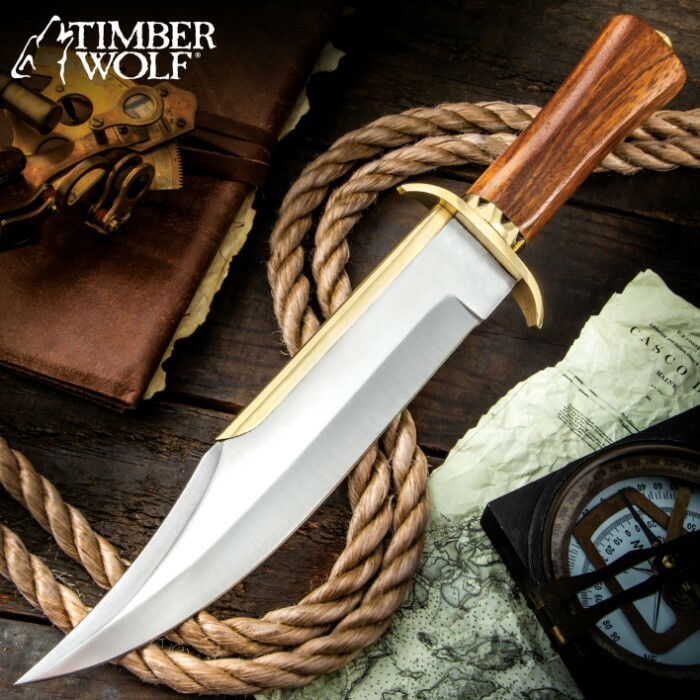 When you’re conquering the Seven Seas, you need a tough knife that you can depend on to back you up whatever happens and that’s exactly what the Timber Wolf Ocean Raider Bowie Knife will do. 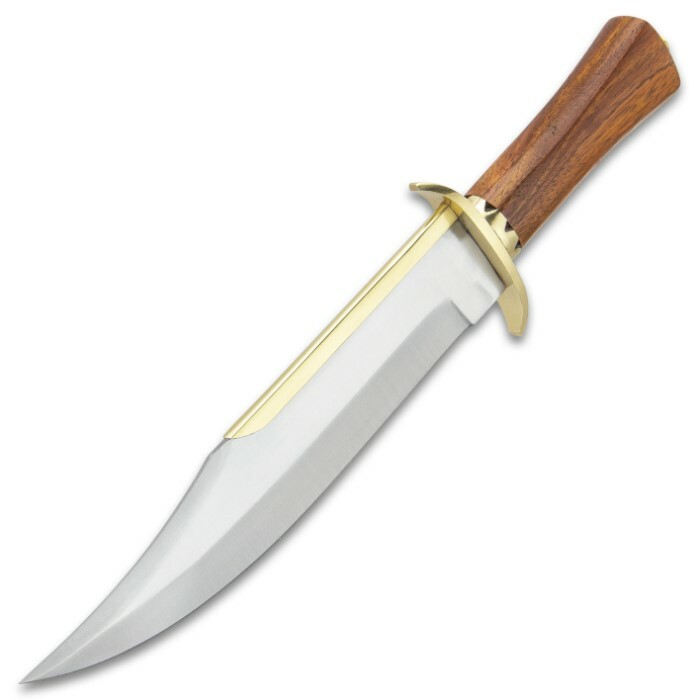 The bowie has a keenly sharp, 9 3/4” stainless steel clip point blade with a sharp, piercing point and a brass accent on the spine. 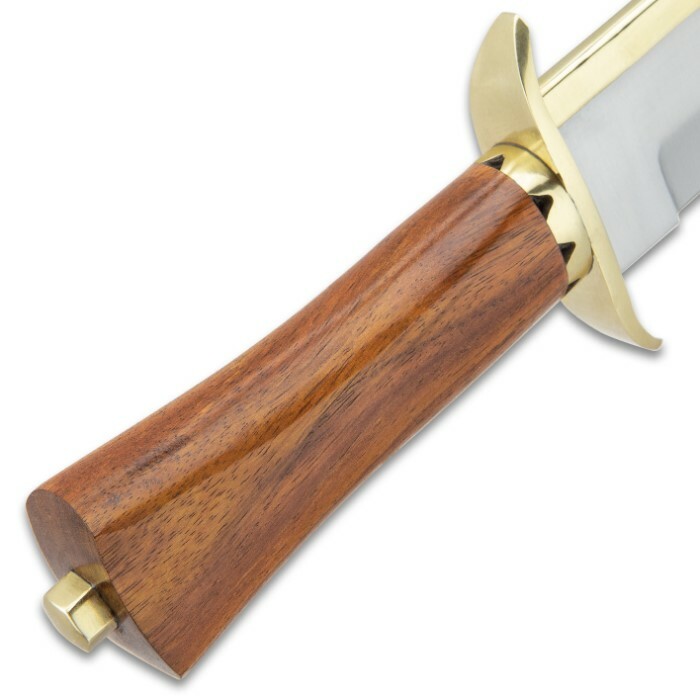 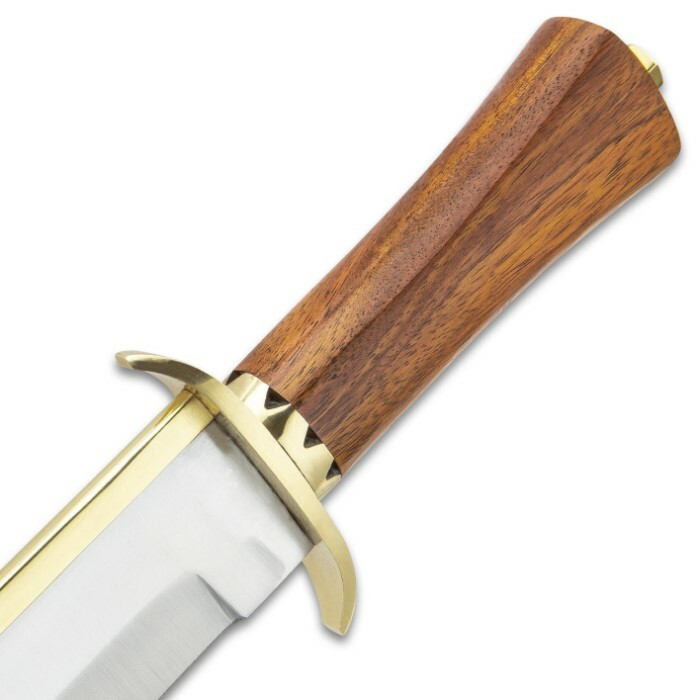 The wooden handle has a solid, hefty feel and features a brass pommel knob, which matches the solid brass handguard. The 15” overall fixed blade knife slides smoothly into a premium leather belt sheath for ease of carry and protective storage.